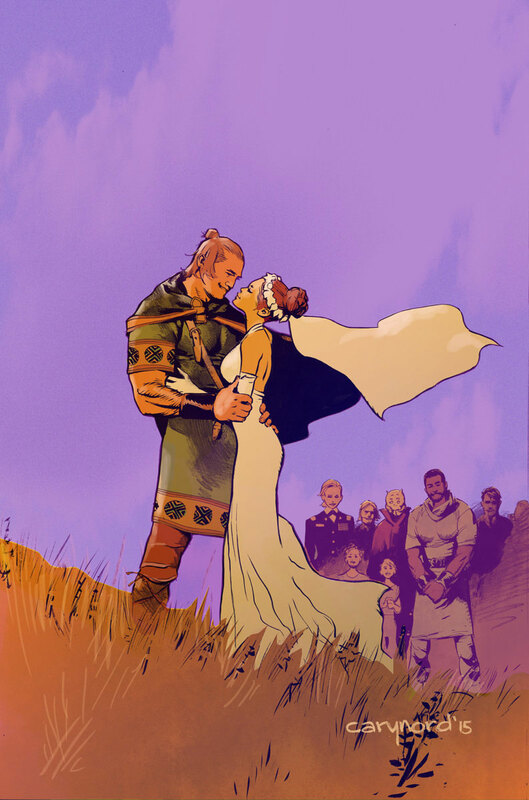 Join New York Times best-selling writer Robert Venditti (ARMOR HUNTERS, Green Lantern) and red-hot artist Rafa Sandoval (Ultimate Hawkeye) this July to stand and witness the biggest, brashest wedding celebration of the year as Valiant’s alien armored Visigoth takes the epic next step in his evolution as a king and hero! Aric of Dacia nearly died in battle against the Armor Hunters, and watched a world end at the hands of Dead Hand. As a king, he knows that it is his duty to marry and provide his people with an heir to protect them in the generations to come. He now makes the next step on his journey… With a guest list of the Valiant Universe’s finest, what could possibly go wrong? One hint: everything! 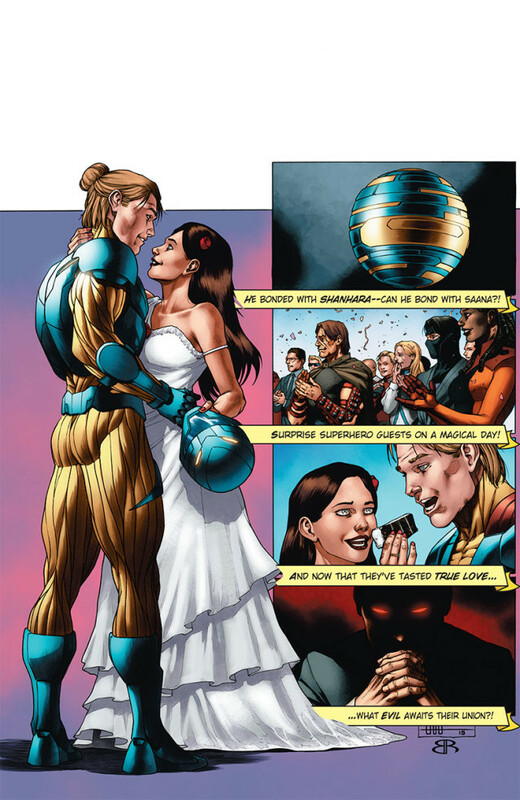 Plus: in addition to the full-length lead tale, the 48-page X-O Manowar wedding celebration also comes packed with special gifts and guests! First, Valiant superstars Robert Venditti (The Flash) and Clayton Henry (IVAR, TIMEWALKER) offer up a toast with a tale of Aric and Saana’s Visigoth forebears and the future they sought! Then, Valiant newcomer Amy Chu (Vertigo CMYK) and red-hot artist CAFU (UNITY) reveal the woman who will become queen in a very special solo tale of Saana of Loam, while Rafer Roberts (Carpool Buddies of Doom) dares attend…the bachelor party of X-O Manowar! And, last but not least, Eisner Award nominee Andy Runton (Owly) returns to X-O Manowar for another chapter of Owly’s adventures with Aric’s all-powerful armor, Shanhara! Alien warriors! Visigoth valor! Love! War! It all happens here as red-hot creators Robert Venditti and Rafa Sandoval lead off a can’t-miss matrimonial melee two millennia in the making in X-O MANOWAR #38! 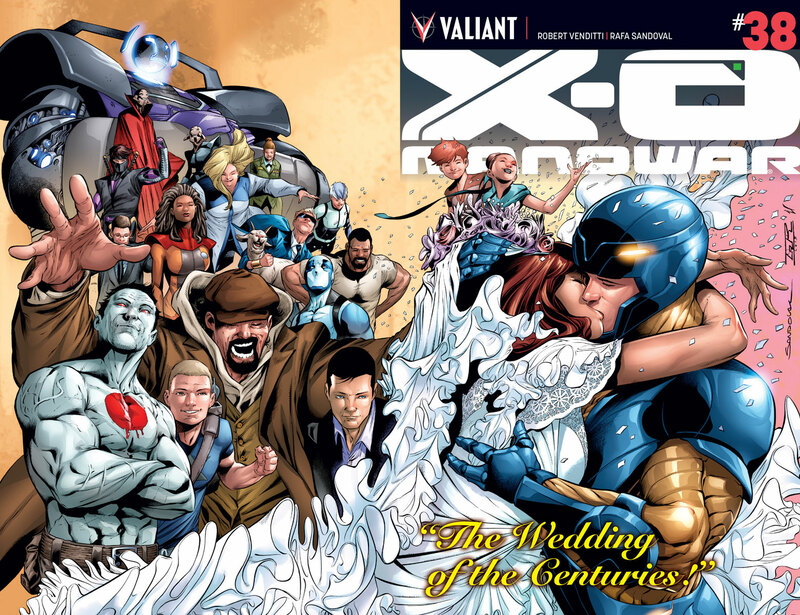 Featuring covers by Rafa Sandoval, Cary Nord, CAFU, Jay Fabares, and Tom Fowler, make sure to RSVP this July and get your place at the table of the summer’s most joyous Valiant event…THE WEDDING OF X-O MANOWAR! $4.99 |48 pgs.| T+ | ON SALE IN JULY!